Though Idaho is widely known for topping the nation in potato production, the state’s offerings reach well beyond its foremost in-ground crops. From vast veins of precious metals and rare gems to leisurely outdoor recreational opportunities, you’ll find this particular portion of the lower 48 truly is the “Gem of the Mountains.”No matter what your purpose for traveling to, from, or within its borders, a private jet in Idaho is the way to go. 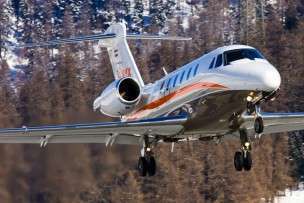 Stratos Jet Charters, Inc. is your leading authority when it comes to charter flights in Idaho, and you won’t find a broker more dedicated to your safety and satisfaction. Contact us via the form we’ve provided or call us at (888) 593-9066 and let us show you what propels us to the forefront of the private jet charter industry. We take each of these aspects into consideration before determining which jet is best suited to your trip. Then, we cross-reference the available options with those registered through ARGUS International, the leader in private aviation safety and business best practices. Only those approved by this foremost organization are worthy of our clients and, to gain certification, these aircraft must be backed by up-to-date maintenance records and have no history of incidents. Whether or not an aircraft is certified for single-person operation, we place two of the industry’s best pilots at the controls for your flight. You’re in the best possible hands when Stratos brokers your flight. Contact us or browse our website to learn more about the safety measures we put into play to ensure you’re completely covered when you come to us. These are only a few of the finer points we can handle. With extensive experience, broad local knowledge, and far-reaching connections, your trip support specialist is well-equipped to help make any arrangements you need. Don’t hesitate to give us your requests. In addition to all those accreditations, we’ve earned a strong 4.78 rating out of 5 from our current and past clients. We thrive on your safety and satisfaction, and we’re committed to ongoing efforts to ensure your experience with us is unsurpassed. Let us show you the Stratos difference. Where in Idaho Will You Go? Boise. From museums, natural parks, and world-class dining to renowned educational and employment opportunities, the state’s capital invites those with virtually all preferences and agendas. Nampa. Offering golf and outdoor adventures as well as local breweries and restaurants, Nampa offers a wide range of possibilities laced with small-town charm. Sun Valley. Whether you’re looking for skiing, snowboarding and ice skating, or sun-filled days of golf and music, Idaho’s Sun Valley resort city and neighboring Ketchum give you year-round fun and fulfillment. Idaho is a prime example of nature’s bounty mixed with a welcoming entrepreneurial atmosphere. Feel free to browse our airport directory for further details. Then, contact us online or at (888) 593-9066 to obtain a free quote to for your upcoming travel plans. Search our Idaho airport directory for airport codes, runway information, available charter aircraft and FBO Information as well as empty leg jet charters in Idaho.